On a cold wintry day in February, Marcia and Kathy interviewed Phil Porter to learn what makes Mackinac State Historic Parks (MSHP) so special to Mackinac, to the State of Michigan and to the United States. Here are his answers to their questions. Kathy: Phil, you have been involved with MSHP for a number of years. Tell us your journey and how you found yourself being the Director of such a prominent State Park in the United States? 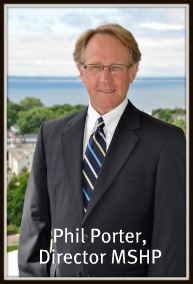 Phil: Well, I was fortunate to become a summer tour guide at Fort Mackinac in 1970 and throughout my college years. In fact the job helped clarify to me what I wanted my major to be during my graduate studies at State University of New York which was History Museum Studies. In 1976 I joined the Staff of MSHP and have held many wonderful positions as curator of collections, curator of interpretation, chief curator and now as Director. 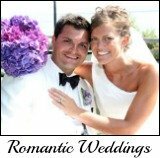 My wife, Valerie, who I met during one of my summers on the Island, both fell in love with Mackinac and wanted to make it our home. We have been fortunate to have that dream become a reality for over 35 years. 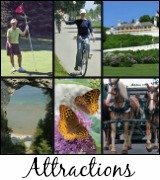 Marcia: There are hundreds of State Parks in the U.S. What are some of the unique features of Mackinac Island that contributes to the prominent status of MSHP? history of this tiny Island? Phil: Amazingly, the event that has helped immensely to keep the Island's history real is the automobile ban. The auto ban, dating to 1898 in the City of Mackinac Island and 1901 in the state park occurred before automobiles had an opportunity to change the character of the island. As a result we have narrow, quaint streets, barns that still house horses, no stop lights, no stop signs, no gas stations...a unique and wonderful pre-automotive environment that cannot be found anywhere else in the United States. 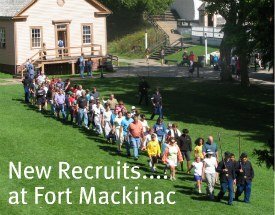 Marcia: People are so amazed when they see old history come alive during their visit to Fort Mackinac and the other buildings in and around town. How do you get the ideas? Phil: MSHP brings history to life through a wide variety of live interpretation programs at all of its historic sites. This includes demonstrations, walking tours, music programs, dramatic reenactments, and hands-on activities that encourage visitor participation. The ideas come from a variety of sources, but usually from our very creative staff, including seasonal interpreters who bring fresh ideas into the mix. Kathy: What are your 3 favorite programs that have become bigger than you ever thought imaginable for MSHP? Phil: That's a tough question with so many terrific programs. 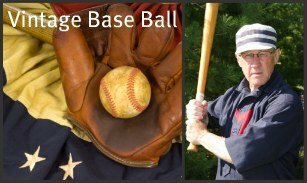 My first choice is the Adventure Tour at Historic Mill Creek Discovery Park just outside of Mackinaw City. The tour includes the Forest Canopy Bridge, the Eagle's Flight Zip Line, and the Nature Trail Climbing Wall. All of them have become very popular with young and old and have increased our site attendance by 30%. While it is not a specific program, the growth of Mackinac Associates from the time that it was developed under the leadership of Dr. Eugene Petersen in 1982 has been very rewarding. The support of this wonderful group, especially in recent years as our state budget appropriation has been slashed numerous times, has been above and beyond my hopes and expectations. Marcia: One last question: if someone only had one day to spend on the Island, where and what would Phil Porter suggest they visit? Phil: I would recommend that they explore both natural and historic wonders of the island. 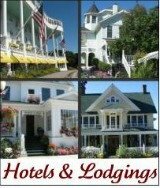 Make sure to visit Fort Mackinac, the Manoogian Mackinac Art Museum, and the other downtown historic buildings and then go out and experience the island by walking its trails, touring its wonderful rock formations and gazing over the crystal blue waters of the Straits of Mackinac. These are experiences that are available nowhere else. 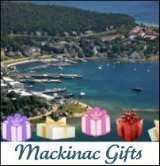 Marcia & Kathy: Thanks, Phil for taking time out of your busy schedule to talk to us about Mackinac State Historic Parks. We definitely realize our community is blessed to have this significant organization in our midst, as well as, having the guidance of Phil Porter to ensure that the land and its history is protected for future generations. 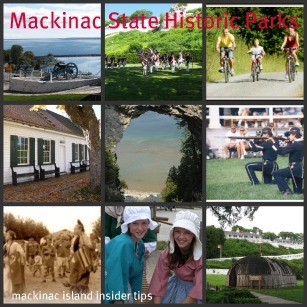 Insider Tip: To read more about Phil Porter and the wonderful programs at Mackinac State Historic Parks click here. Visiting Mackinac Island and the surrounding country side is truly a way to experience a fantastic all-American vacation in paradise! 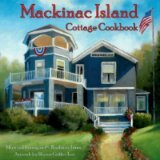 Return to "Mackinac Island Mi" from "Phil Porter Interview"